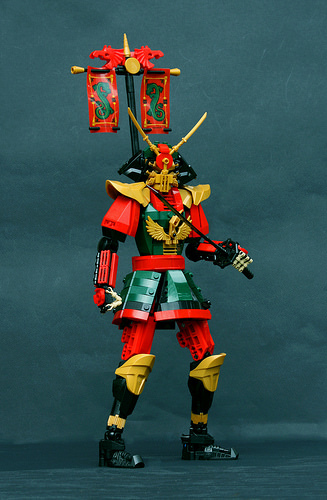 Not content with wowing us with his LEGO versions of Discworld characters, Eero Okkonen recently knocked us sideways with this excellent Samurai figure. The helmet armor’s “face” is particularly good, as is that awesome bird device on the chest. Magic stuff — now I want to see an opponent built for an epic shogun showdown.